Ultra-wideband (UWB) systems are pulse-based systems because it transmits higher data rate by sending energy pulses than narrow-band frequency carriers. These pulses have short durations, generally some nanoseconds, that results in UWB frequency spectrum. The idea of impulse radio was first developed in the 1900s with Marconi when impulse measurement techniques were used to analyze the transient behavior of microwave networks. After that, in the 1960s, these techniques were utilized to design wideband antennas that result in the development of short-pulse radars and communication systems. In the 1980s, FederalCommunication Commission (FCC) allocated Industrial Scientific and Medicine (ISM) bands for unlicensed wideband communications. In 2002, the amendments were made in Part 15 by FCC, which directed unlicensed radio devices to include the operation of UWB devices. For this purpose, a bandwidth of 7.5 GHz was also allocated, i.e., 3.1-10.6 GHz. According to the FCC rules, a signal having 500MHz spectrum can be utilized in UWB systems. It means that UWB is no more restricted to impulse radio. Recently, a new research in a public safety domain aims for sensors which is able to provide high data-rate, high-resolution screening and high channel capacity. Also, to improve Doppler resolution and range, sensors which support super-wideband (SWB) signaling will be the solution for the problem. SWB radio technology could be the possible approach that enables high-resolution sensing in the matter as well as in free space. SWB-RT has some unique advantages as compared to narrowband technology, and it also improves UWB radio technology advanced features, which include precise screening, super-resolution in communication systems and enhanced channel capacity, etc. SWB communication system provides some unique features that make it suitable for various applications. 1. SWB technology has the capability to transmit excessive data using less system power within a limited range. So, high data rate transmission between computers and consumer electronics will provide new experiences in home and for personal entertainment. 2. SWB offers an advanced tracking mechanism for indoor locations than a Global Positioning System (GPS). The moving objects can be tracked within an indoor environment with a precision of specific distance. Also, it can be used to find casualties in a collapsed building, injured tourists in a remote area and so on. 3. In imaging and radar applications, SWB technology is used in the surroundings of battlefield to detect enemies and lethal weapons. It has also gained interest in medical diagnostics where X-ray systems are less beneficial. 4. 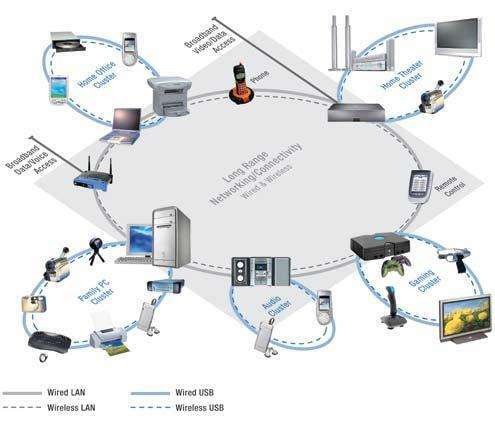 Wireless sensor networks can also utilize SWB technology because the installation cost and maintenance of system can reduce significantly by deploying SWB sensor networks. Also, these networks are able to collect and distribute a large amount of data in a timely manner. SWB technology has a number of benefits that are attractive for radar and wireless communication. 1. Through SWB technology, a huge capacity can be achieved as high as hundreds of Mbps or even several Gbps with a distance of almost 1 to 10 meters. 2. SWB technology provides highly secure and reliable solution for wireless communication. The signals are noise like due to low energy density, which makes detection entirely difficult. One reason is that SWB signals have a particular shape so, it is near to impossible for noise to eliminate the pulse because the noise spreads uniformly across the entire spectrum to demolish the pulse. Hence, SWB is the most secure communication technology available, ever. 3. Lastly, UWB/SWB systems are low cost and less complex. It does not modulate and demodulate complex carriers which eliminate the use of amplifiers, oscillators, mixers and filters. It is a known fact that antenna plays an important part in wireless communication systems including UWB/SWB systems. So, the difficulties and challenges are high in designing a SWB antenna than a narrow band antenna. Firstly, the performance of a SWB antenna should be constant over the whole operational band. Secondly, omnidirectional or directional radiation patterns are required depending on the application. Omni-directional radiation properties are usually demanded in cell phones and hand-held devices. While the high gain and directional patterns are required in radar and other directional systems. Thirdly, an SWB antenna should be compact so that it can be installed in SWB systems. It is also preferred that the antenna exhibits low profile configuration for easy integration with a printed circuit board (PCB). Fourthly, an SWB antenna should optimize the overall system performance. For example, the antenna is designed in such a way that the device complies with the essential power emission mask governed by the FCC or other regulatory bodies. Finally, an SWB antenna should attain good transient characteristics. In the case of a narrow band, it is approximated that the antenna acquires the same properties over the entire bandwidth and basic performance parameters, such as return loss and gain, with minimum variations. In contrast, SWB systems use short pulses for data transmission, which occupy a huge bandwidth. Thus, the antenna can be used as a band-pass filter" not as a \spot filter". In this scenario, the antenna parameters will have to be handled as a function of frequency and will impose significant effects on the input signal. As a result, an efficient time domain performance is achieved, i.e. less distortion in pulse at a receiver side, which is a primary concern of SWB antenna.